Cyber Monday Sale: Save Up To 50% Off! 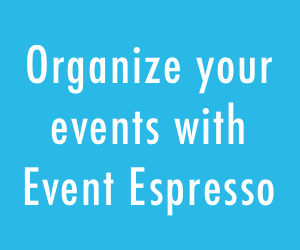 We don’t offer discounts very often, and in early 2014 fees will be higher, so this really is your best opportunity to get Event Espresso for the lowest price. Offer ends December 3, 2013. Check out our Cyber Monday Prices which were sent to our Newsletter subscribers. 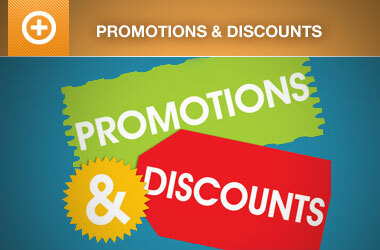 You must use the links in our newsletter to get the discount(s). If you did not receive an email notification about our Cyber Monday Sale, you should subscribe to the Event Espresso newsletter for important news and special offers like this at the bottom of our website. I just ordered the business licence, but i got charged full price…did something went wrong? i already sent you an email as a reply to the invoice…thx. Yes, if you just setup an account then you should have received the discount. I’ve replied to your email so we can take care of this for you. I renewed my business license and I would also like to get the Infusionsoft Add-on but it doesn’t look like it’s coming up at 50% off. Help? ooops, I already bought it. Should I buy again using the link or can you change it on your end? ooops, I already bought it. Should I buy again using the link or can you change it on your end? I also want to buy the Recurring Dropdown custom template but I’m only seeing info on it but not a link. We can either give you an extra year or I can refund you tomorrow once the transaction has been processed? Let me know. I’ll take the refund and buy it again at the discounted price. Also I want to buy the Recurring Dropdown custom template but I’m only seeing info on it but not a link. I want to get the Recurring Dropdown one but that’s not on the list. I don’t see anywhere that I can buy it. Instead of refunding me, can you just add that one to my account? I don’t save as much but it seems easier. OK with you? The Recurring Dropdown and Masonry Grid templates are not quite available (hopefully this week), so sorry for the confusion. How would you like to proceed? Email sales@eventespresso.com so we can get it clarified in a little more private fashion. The Recurring Events Drop-down Template is now available. I Just placed an order for the Business License, I’m a renewing customer. I pressed submit, but the browser displayed the same page instead of Thanks for your order. Can you confirm you received the order ok.
How are you today? I sent you an email to follow up. Your license level: Developer License Expires: August 28, 2014, I don’t see any way to update my license this early, thoughts? Anytime you are logged-in to your EventEspresso.com account and purchase a support license your account is extended another 12 months beyond what it was already. 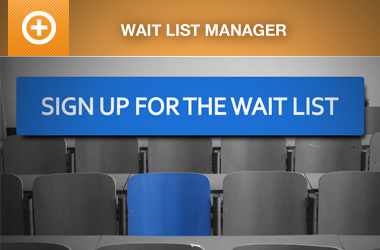 So, if you purchase or renew your support license today your license would be extended until August 28, 2014. When your account is within 30 days of expiring you will receive: 1) messages or notices on your account page explaining that your license is about to expire, 2) several email notifications about your license expiring, and 3) a special price to renew which is at least the same discount as is available during the Cyber Monday sale (if not greater). Does that help?